Facebook is reportedly working on its own health app, but don’t expect the network to follow in Apple’s footsteps by tracking your vitals. Facebook’s health initiative is all about community. While the app is in the early stages of development, Facebook is reportedly taking a cue from the way people already use the network to discuss health problems. According to Reuters, the network is looking at ideas around community discussions, perhaps similar to its thriving Groups section. The Friday report from Reuters also detailed talks between Facebook and medical experts to build apps around preventative care. Will Facebook use tech from Moves, which it bought in April, to build out a health app? Health and fitness are huge topics on Facebook. From cancer survivors sharing their stories to friends who clog your News Feed with their marathon successes, people love to trade ideas and offer advice around wellness. 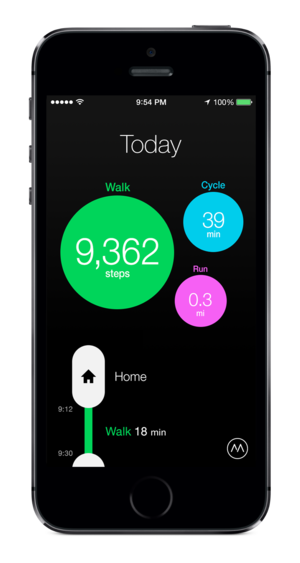 But a health app would pose a set of new challenges, as Apple learned with its Health app. Privacy measures and promises not to sell user data to advertisers are a must, but Facebook hasn’t always proved itself trustworthy. Health might be a hard sell to wary users. That may be why Facebook is considering a stand-alone health app. A separate service doesn’t carry the same baggage that Facebook does—Instagram and WhatsApp remain unscathed even when their parent company makes missteps. Facebook already owns a health and fitness app, Moves, which it bought in April. The popular activity tracker acts as a fitness log, examining your moves for trends. It’s unclear if Moves, which still operates independently of Facebook, will be integrated with Facebook’s future health initiatives. When the network acquired the app, the Wall Street Journal reported that Facebook would use it to help users “take small steps toward more healthy habits and lifestyle,” which jives with the health ambitions Reuters detailed. Why this matters: Facebook struggles to balance its advertising business with your privacy needs, and keeping health data separate would pose a challenge—if the network can convince users to hand over that data in the first place. A community discussion-focused app would be more successful, because Facebook easily fosters those conversations in Groups as it is.